Over the years I have often lamented the fact you simply can’t make a living from short stories. You can write short stories, you can sell them--sometimes to the big magazines with the fat paychecks--but you won’t make a good living from them. In fact, only two writers I know of have been successful with short stories: Harlan Ellison and Ray Bradbury, and even Bradbury has several novels to his name. I say I lament the fact because I am, essentially, a short story writer myself. And, man, I wish to God it paid because I have a ton of them and I could be cleaning up. 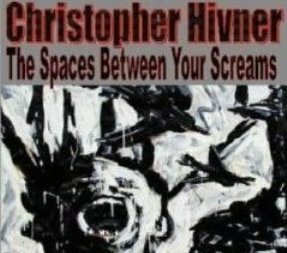 Another short story writer I’ve been introduced to recently is Christopher Hivner, whose collection The Spaces Between Your Screams showed up in my mailbox a few weeks ago. At the time, I’d never heard of him or his publisher, eTreasures Publishing, but a look at his publishing credits inside was very impressive to me, considering he’s appeared in a few of the magazines, like Outer Darkness and The Edge that I was never able to make it into. And then his bio is almost like reading my diary as he lists Coke, “Mystery Science Theatre 3000,” pizza and Muddy Waters among his likes. Were we separated at birth? The book itself is a collection of 40 short stories, and when I say short I mean it: the first story “Taking Jenny Seriously” is 6 ½ pages. “Handyman” is 2 ½. “Eyes Wide Open” is 4 pages. Personally, I love a short story collection with actual short stories. I want to be able to finish one on the walk to work, or on lunch at my desk, and the majority of Hivner’s stories are just the right length for that sort of thing. The subjects of his stories are, again, practically taking a page out of my own playbook. There are the requisite vampires and werewolves, but where Hivner shines the most is in the “weird” category. A good writer is able to take the simplest “what if” in the world and make something out of it, and that’s exactly what it looks like Christopher Hivner has done repeatedly throughout his career, much more successfully than I was ever able to do. In “The Other Side of the Wall,” an office worker discovers a colleague has been promoted to a different department, one with its own special entrance into the building, whose offices are located in a part of the building separated from everyone else. His curiosity gets the better of him one day and Carl slips past the door to check out his colleagues new digs. Bad move. In “A Little Tongue,” Nat and Spivey are waiting for their new boss to pick them up for work one morning when one of them spots something that looks like a tongue poking out of a nearby tree stump. This can’t end well, and it doesn’t. Now, I’m not saying it’s not a little silly, and that the ending isn’t telegraphed very early in the story, but if you think about it, a good deal of your favorite stories are a bit silly when you break them down. And silly or not, Hivner pulled it off. My only criticism with this book would have to be Hivner’s tendency for over-writing. There were several passages I felt took me out of the stories as it felt Hivner was trying to write, as opposed to letting the stories flow. In most cases, these passages were accompanied by words obviously taken from a thesaurus as they don’t just occur on their own in nature. In “The Battle Waged” alone (6 ½ pages), I found “vacillated,” “raptorial” and “mellifluous.” Nothing wrong with them, I know. They are real words (well the first and last, I’m not sure about “raptorial”). But they’re not words that flow. “Mellifluous” is a speedbump word if ever I saw one. And when, in “Of His Kind” he used “cachinnation,” I was like what? The over-writing aspect I chose to overlook for the most part because, looking again at the publishing credits, some of these stories go back to 1994 and while that would have put Hivner in his late 20s, no one can begrudge an author for wanting their earlier work in their collection. We were at our most brilliant then, right? Right? Huh? Maybe not. But we sure thought so. 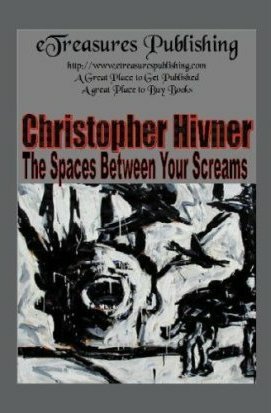 I did enjoy The Spaces Between Your Screams and I believe if Hivner had been around and writing in the 1950s, alongside Bradbury at the like, when short story writers could actually make money off their craft, he’d have been a huge success. I believe in 2011, he could still be a success--his ideas and execution are still top-notch--but he just needs to trust his instincts more and write for the story, not for the ego, which is exactly what using a word like “cachinnation” is all about. How do I know? I don’t want to talk about it. Christopher Hivner has all of my respect, because his respect for the craft, his passion and his love for this thing called writing, is evident in every page of his collection and I’m thankful I had a chance to read it. A few of the ideas fall flat, but as Ellison himself has said, “we all do imperfect work from time to time.” That’s okay. Overall, The Spaces Between Your Screams is a pretty good collection and one I’ll probably be drawing inspiration and motivation from for a while. I’ve always thought the world needed more short story collections. I love them. They’re a great introduction to a writer’s style, and for a writer, they can provide huge doses of inspiration, especially when the book has as many interesting ideas as this one. I’d been having a bit of a motivation problem for a week or two when I started this book, but reading it has definitely made me want to get back to work on my own short stories. And for me, I think that’s what a good collection should do, and the fact it does is probably the highest compliment I can pay. You can buy The Spaces Between Your Screams HERE. Christopher Hivner is a devout believer in a slow blues song and a cheap cigar. When he writes, he needs to be vigilant as his attention is easily diverted elsewhere. 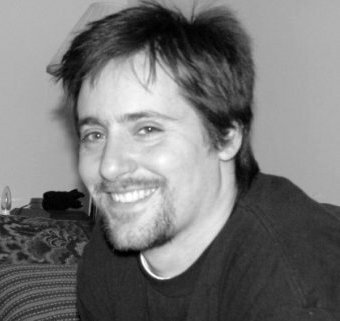 His work has recently appeared in Paper Crow, 69 Flavors of Paranoia and Dark Gothic Resurrected Magazine. A collection of horror poetry, "Moonlight Glinting off the Blade" was published by Panic Press in 2011. C. Dennis Moore is 38 and lives in St. Joseph, Missouri where he works during the day as an inventory control clerk. He’s been writing just about forever with over sixty stories and novellas published, plus a collection of his short stories called Terrible Thrills. Recent and upcoming publications include the Vile Things anthology from Comet Press and his novella Epoch Winter will be published by Drollerie Press.